That description may be true of many young people today, but it’s usually not true of graduates of Summit Ministries, graduates like Haley Halverson. Where did Haley Halverson learn these ideas? How did she develop this passion for serving others? If you ask her, she will say that one of the formative experiences in her life was the two-weeks she spent at Summit Ministries in Manitou Springs, Colorado back in 2010, just before her senior year in high school. I’ve got to admit that I’m not objective about Summit. Before coming to the Colson Center, I helped lead Summit’s summer programs, and I still speak there every summer. I hear stories like Haley Halvorson’s all the time. For example, Lila Rose, a recent guest on our podcast who is, according to the Atlantic, “leading the millennial pro-life movement,” is a Summit grad. Federal prosecutor Brian Skaret, who led a team of prosecutors that put away dozens of gang members that terrorized the border town of Juarez, Mexico, is also a Summit grad who points to his two-week experience as among the most formative in his life as well. 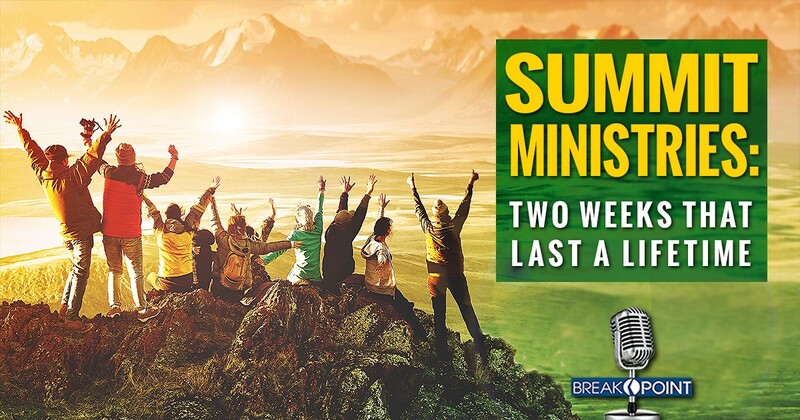 So if you’d like to make a lasting investment in the future of a student, aged 16 and up, send them to a Summit Ministries two-week conference. Chuck Colson called it the “gold standard” for training young people in worldview.